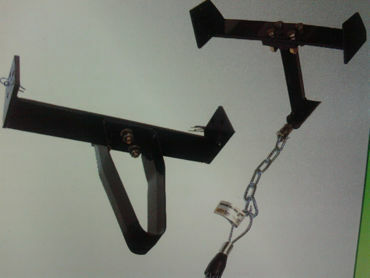 18" width x adjustable depth up to 2.5"
Do you install landscaping? Don’t be caught without a sod cutter. 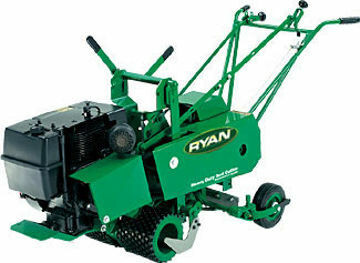 A sod cutter will save back breaking work when installing new flower beds, or cutting an area for a garden. A basic sod cutter hand tool looks a lot like a shovel but has a serrated edge and a beveled back. Don't be fooled into thinking a shovel will do the job of a sod cutter. Although a shovel can be used, a sod cutters is far easier and performs far better. 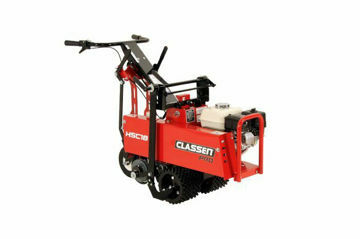 A sod cutter enables you to easily remove the grass and its roots, making your cleared site much cleaner. 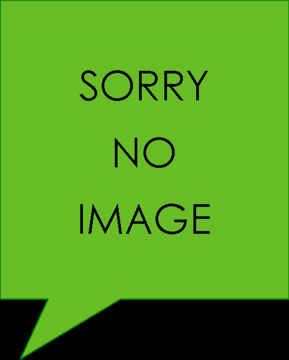 The sod cutter hand tool can be picked up at your local hardware store. 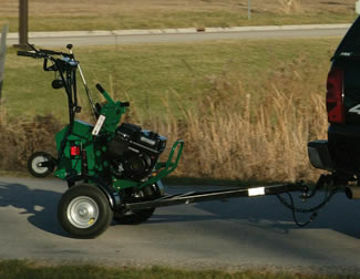 For those of you have a very large piece of land that needs to be cleared, we offer an additional type of sod cutter; the gas-powered sod cutter. These monster machines look like large a large tiller on four wheels and cut the sod into long rectangles that can be easily rolled up and carried away. 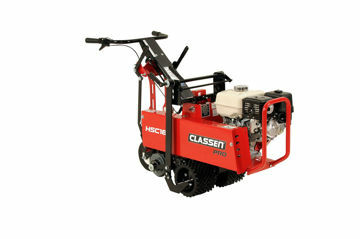 A gas sod cutter is a necessary piece of equipment for any landscape professional who installs landscaping, and flower beds. 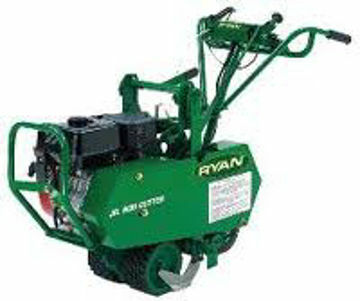 No matter which type of sod cutter you choose, or how much sod you need to cut, you'll find that choosing and using the right tool for the job will make this back-breaking work a lot easier.